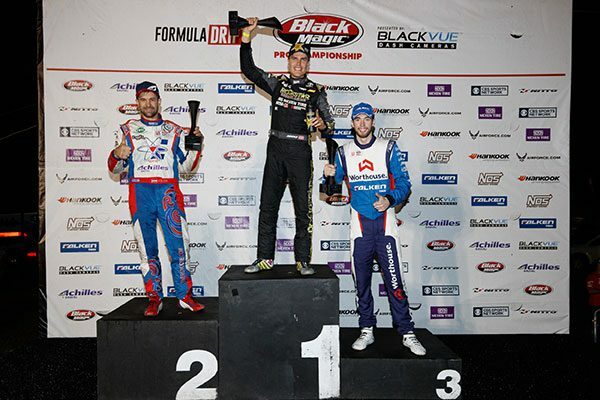 Long Beach, Calif. – July 15, 2017 – Formula DRIFT Black Magic Pro Championship presented by BlackVue Dash Cameras returned to Autodrome St-Eustache in Canada. Fredric Aasbo in the Rockstar Energy / Nexen Tire Toyota Corolla iM took the victory for his tenth event win – the most in Formula DRIFT history. 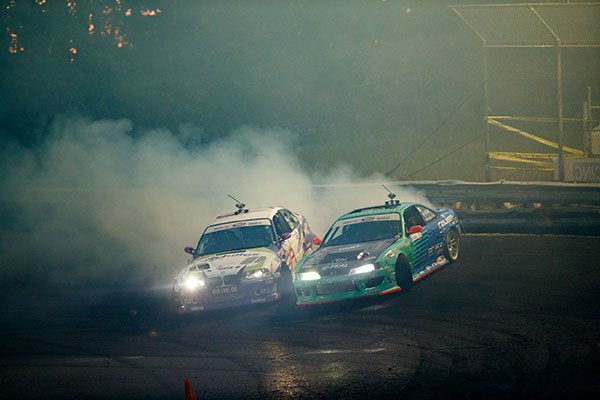 In one of the most action packed and chaotic rounds of competition, Round 5: True North brought the top drifting talent in the world into Canada to a capacity crowd. The Livestream drew over 1 millionviews over the course of the weekend. “What an event! In what I can only describe as a historic and carnage filled, the event showcased true sportsmanship amongst the drivers and crew members often seeing them help each other in the pits,” said Jim Liaw, President of Formula DRIFT. “Congratulations to Fredric Aasbo for overtaking Samuel Hubinette to become the driver to hold the most event victories in the history of our Series. Today it was also about the crew members, many who are unsung heroes of the sport, as we saw how hard-working and talented these guys are. In the Top 4, number one qualifier and current points leader, James Deane in the Worthouse Drift Team / Falken Tire Nissan 240 faced off against Fredric Aasbo. In the second battle, Deane had an error on the latter part of the course to give Aasbo the edge and win. On the other side of the Top 4 bracket, Kristaps Bluss in the HGK / Mast / Motul / Wisefab BMW E46 had a bye run to advance into the Finals. His opponent Vaughn Gittin in the Monster Energy / Nitto Tire Ford Mustang RTR had a mechanical failure during his Great 8 bye run forcing him out of the competition. The Finals saw its share of mechanical issues as Bluss while in the lead on the 1st run, straightened out and decreased speed forcing Aasbo to adjust and make slight contact. With the advantage in the second battle, Aasbo in the lead was then forced off the course as Bluss made door-to-door contact, which the judges deemed him at fault, giving Aasbo the event win. This marks Aasbo’s second consecutive win in Canada as he won in 2016, moving him into second place in the standings. Bluss moves up to third place in the standings, while Deane retains his lead with only two events remaining in the season. The action continues to Round 6: Throwdown at Evergreen Speedway in Monroe, WA on August 4-5. For more information visit, www.formulad.com and find Formula DRIFT on Instagram @formulad, Facebook www.facebook.com/formuladrift, Twitter @FormulaDrift, and Snapchat – formula_drift. Tune into Formula DRIFT on CBS Sports and check your local listings for airtimes. 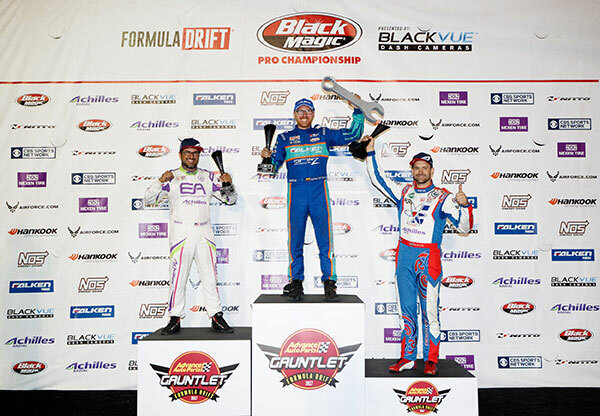 Long Beach, Calif. – June 3, 2017 – Formula DRIFT Black Magic Pro Championship presented by BlackVue Dash Cameras returned to Wall Speedway in New Jersey for the fourth event of the season. Aurimas “Odi” Bakchis in the Falken Tire / Drifz Wheels Nissan 240 battled his way to victory. The Advance Auto Parts Round 4: The Gauntlet showcased tough competition throughout the event weekend. Over 1 million viewers tuned into the Livestream to watch the exciting action. The Final 4 pitted Michael Essa in the Achilles Tire / Essa Autosport BMW M3 against Kristaps Bluss in the HGK / Mast / Motul / Wisefab BMW E46 on one side of the bracket. 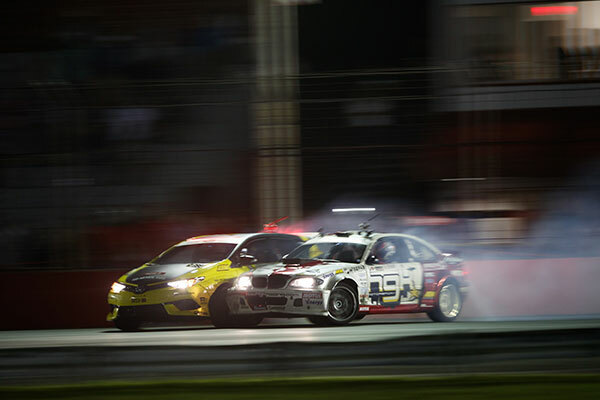 The battle of the BMWs went to the 2013 champion, Essa as he took advantage of a mistake by his opponent. Bakchis was set to face off against Matt Coffman in the Nexen Tire / Coffman Racing Nissan 240, but after failing to repair his vehicle within the allotted 5 minutes, Coffman had to bow out giving Bakchis the win. In the final battle, Essa faced off against Bakchis, with the first run being a very competitive outing. The second battle ended in dramatic fashion as Essa’s tire debeaded coming off the bank and Bakchis’ motor gave out just as he crossed the finish line. Bluss rounded out the podium in third place for the second consecutive event. The action continues to Round 5: True North at Autodrome St-Eustache in Montreal, Canada on July 15-16. For more information visit, www.formulad.com and find Formula DRIFT on Instagram @formulad, Facebook www.facebook.com/formuladrift, Twitter @FormulaDrift, and Snapchat – formula_drift. Tune into Formula DRIFT on CBS Sports and check your local listings for airtimes.